Remember AllCast, Android developer Koushik Dutta’s AirPlay-like application that lets you cast content to different devices? The app’s streaming capabilities were previously limited to only players and set top boxes that Dutta implemented support for, but the release of AllCast Receiver, a companion app for AllCast, changes that. 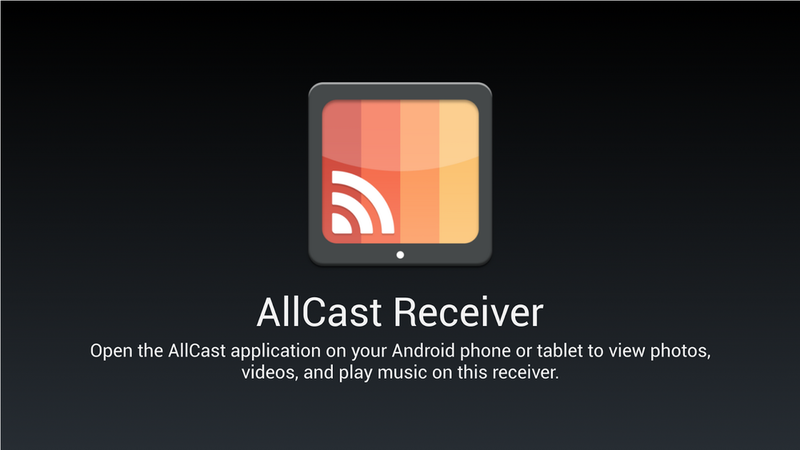 Install AllCast Receiver on any network-connected Android device, and that device instantly becomes a cast target for AllCast. You can sling local media like music, pictures, and videos seamlessly, just as if you were casting to Chromecast. Pretty much every Android device is supported, including popular set-top boxes like Fire TV, Ouya, and Google TVs. AllCast Receiver is free, but requires AllCast to work. The full version of AllCast is $4.99.